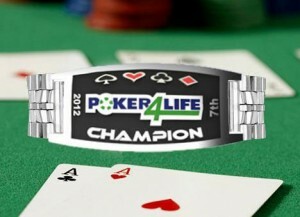 ProPokerGear makes custom-designed, high-quality poker trophy bracelets. Located in New York City, the capital of the jewelry industry, we are committed to providing you with exceptional products and service. Whether you are a casino tournament director, a professional poker player, a home game shark, or just looking for that perfect gift for a card-playing friend or family member, you’ve come to the right place. ProPokerGear specializes in making unique bracelets that reflect class and confidence at the table. Backed by over 25 years of experience fabricating custom jewelry, each poker bracelet is a collaboration between you, our talented designers and our master craftsman. In this way, we ensure total originality. Each design is perfected until approved by you before production. We then create your custom bracelet in our state-of-the-art jewelry shop, using CAD/CAM technology to produce 100% accurate, detailed results. We use only the highest quality sterling silver, gold or platinum for your one-of-a-kind trophy bracelet. The design possibilities are limited only by your imagination! The jewelers, designers and customer service representatives at ProPokerGear are all poker enthusiasts. Like you, we play in weekly home games and tournaments at local pubs. We’ve also played in the fabled casinos of Las Vegas. ProPokerGear was founded to provide poker players at all skill levels with the absolute best championship bracelets in the world. When you love poker as much as we do, nothing beats the feeling of winning a high-quality prize bracelet. Each poker bracelet comes with an unconditional lifetime warranty. Sizes are available for everyone. And we ship worldwide. Have a look through our Gallery and read some Testimonials. You’ll be impressed. We have live support to answer all your questions. Call us toll-free at 866-939-2257, email us at info propokergear.com or use our Contact form. Do you have a custom poker bracelet in mind? Get started now by requesting a FREE QUOTE online. Or browse through our SHOP for other poker bracelet and gift options.